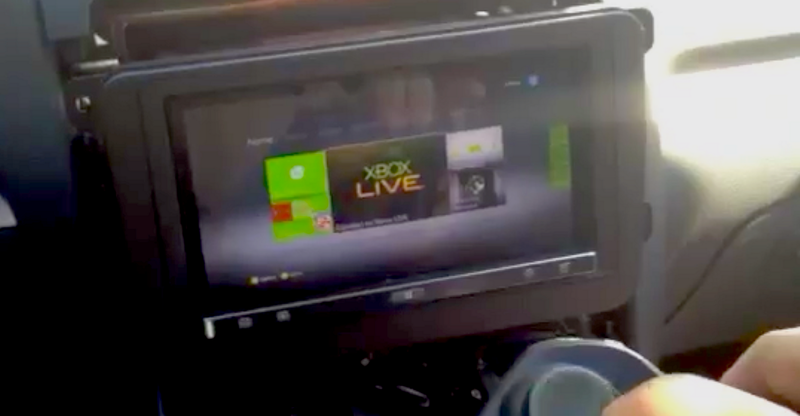 The video shows the game console powered using an extension cord but the user plans on installing a power inverter in his car. The XBox 360 uses the HDMI port on the AppRadio 2. An install like this can allow you to watch DVDs (or even Blu-rays in case of a PlayStation 3) and play games in your car. And if you can tether an internet connection from your phone to the device you could even browse the internet. All this should only be attempted while the car is parked for safety reasons. Interestingly when the XBox 360 is hooked up it shows up as an Android device on the AppRadio 2. Thanks to Bdowling91 for uploading and sharing this video with us. Can you hook up both the iPhone and xbox? I tried to simply hook up an ipod through the HDMI using an apple HDMI to 30 pin, but can't get it to work. Do I need to do something special to the HU to get it to work? Did anyone try this with a PS3 ? Has anyone tried this with an ATSC/QAM tuner? That would be great for road trips! The AppRadio app is very convenient for those who travel. Aside from being an accessory to the car, it also serves as a good source for a “good feeling” while driving or while on the road.